Now the illustration/instructions for Ashley #589 is of the line and circle (indicating unders) variety. 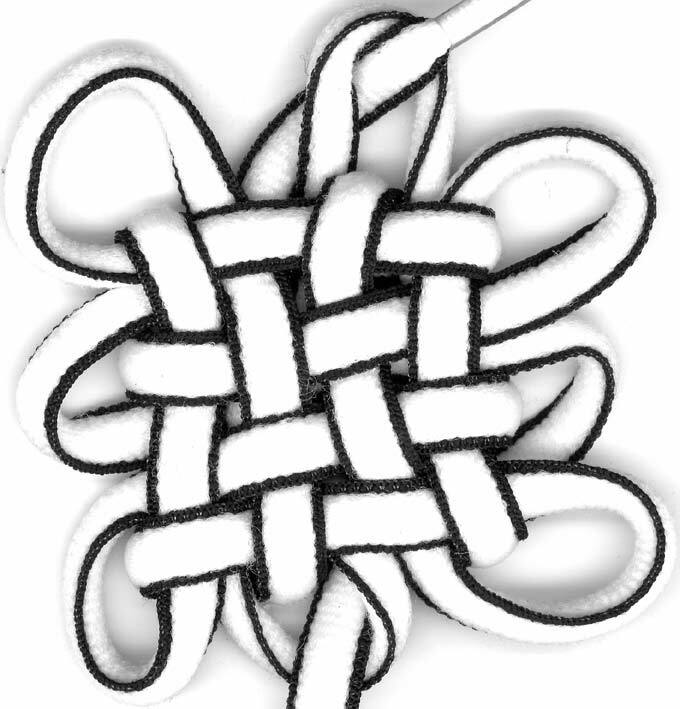 It is extremely difficult to visualize from that, especially for a knot of this complexity. He recommends enlarging the diagram and pinning everything down very carefully. Well, I was winging it freehand, and I'm pretty sure it's not right, at least the "back side" looks like there's a mistake (see right). 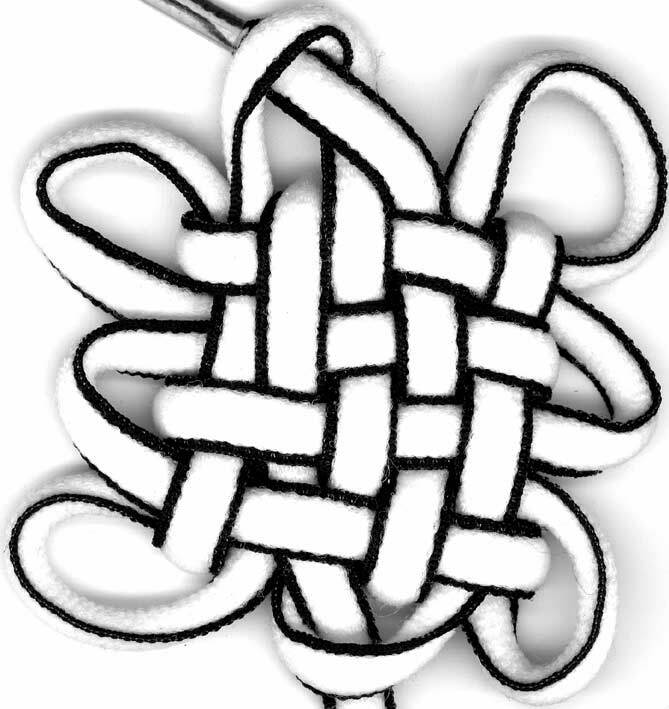 The "front" side on the other hand, looks reasonable except that the loose ends extending through the loops are back to front versus front to back as in the diagram.